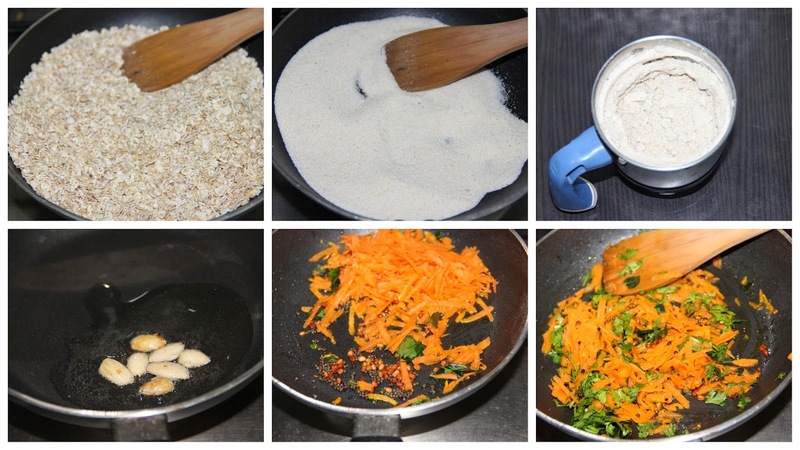 Oats idlis are a healthy alternative to normal idlis. This is an instant preparation. It tastes almost like rava idli. Tasty healthy idlis in minutes. Roast the oats till the roasted smell arises and powder in a blender. Roast the semolina also till you get the roasted smell. In a pan add the oil and almonds. Roast and remove from oil. In that same oil add the mustard seeds and urad dhal. 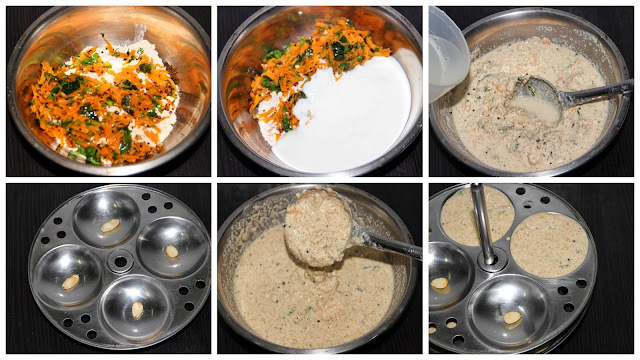 Then add the curry leaves & carrot. Sauté for a minute then add coriander leaves and switch off the gas. Allow to rest the batter for 15-20 minutes. Steam it for 8-10 minutes. Allow to cool for 5 minutes and remove the idlis from plates. Idly looks awesome dear, is the rava used here is regular one or idly rava? wow.. Nice & tasty Idly.. looks perfect.. & Great clicks,,.